Our visit to Longwood Gardens, and Dad’s tips for having a great time! Yesterday, Dad and his family went to Longwood Gardens in Pennsylvania. Let me tell you this was one of the most fun I’ve had in such a long time! Oh my the walking! I’m sure I filled my daily quota of 10K steps yesterday. Of course the 10K quota is an ongoing target for Dad in his futile attempt to lose weight by walking 10K steps each day! I’ve been meaning to go to Longwood Gardens for such a long time and I was pleased that we finally went on Saturday. Of course everyone knows by now, I refuse to pay full price for admission to anything. Dad’s Tip to save money: So the first thing in the morning, I scrambled through my mounds of emails and finally found a great deal on Groupon which saved me 50% off the admission ($18) for each person. Yea me! Of course as soon as we got there, we spent $50 for food that should have cost not more than $20 as a non-captive audience outside. Oh well, such is the labors of saving money. One hand saves, the other hand gives..
Dad is not known to appreciate nature’s beauty, but the Conservatory, and the grounds that we walked truly were a sight to see. I’d like to come back again when we can see the night shows as well as the fireworks. I won’t bore you with the amazing stuff I saw there, but I’ll give you my perspective on what I saw. Tremendously helpful staff, and great layout! I had come here when I was a child and I really don’t remember this place being so well laid out and so beautiful! I think I was a teenager when I came here last and I remember the light shows in the water fountains! Spectacular! The horticulture and the landscaping of this place is to die for. Thank god I don’t have to mow the grass here! The layout is conducive to walking and walking and walking. Plenty of places to sit along the way. Luckily the weather was conducive to walking. Low humidity and a clear sunny day! I took so many pictures! I finally figured out how to (correctly) take panoramic pictures using my iPhone. Yes, that’s pretty pathetic, considering I’ve had this iPhone for a few years.. Once I got the hang of it.. I became panoramic picture happy.. Did you expect anything less? 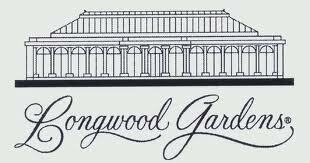 The drive to Longwood Gardens from Central NJ (Middletown) is about 2 and 1/2 hours. If you follow your navigator from Google Maps.. 🙂 and don’t deviate no matter how many times you feel like. Of course, today I found out that I could have shortened my trip time, if instead of taking local roads, I should have taken exit 4 from the New Jersey Turnpike and taken all highways! Dad’s Tip: Arrive later in the day, so when there are night shows at the fountains, you can just lounge around and see the great fountain light show with music! I’m finding that in order to have a great time, you really don’t have to spend a lot of money. Yet Dad being so Frugal (many call me cheap) is always looking to cut corners with expenses and this causes paralysis by analysis before going on any journey! Being of South Asian descent, I was also surprised at this: There were so many South Asian Families enjoying the same venue. From where I stood, there was at least a two to one ratio of South Asian visitors to others. I think this is great! So many extended families were there with their entire generational family members! I just wondered how the older family members managed to walk the amount of walking that had to be done! Dad’s Tip: If you truly don’t want to walk, you can rent a 3 wheeled cart that you can take anywhere! Don’t think I wasn’t tempted, but these are truly meant for individuals with handicaps or have some kind of physical limitations on walking! I tell you, the Water Lillies and the conservatory were the highlights of this visit, I could have spent the entire day in the conservatory just admiring the inside and how the beauty made you feel like you were not even indoor! Gotta go back here again and spend more time here. Finally, Dad is doing things instead of just staying home and vegetating. Last week camping, this week Longwood Gardens! If you have visited Longwood Gardens, what was the highlight of your visit? I’d sure like to hear from you! Au Canda! Tips and observations of my Canada vacation! I know I haven’t blogged in a few weeks! I have a good excuse, Dad and his taxi of life was en vacances in Canada this month! Last week we took a road trip to Quebec and Montreal respectively. Feel free to comment if you have anything to add! 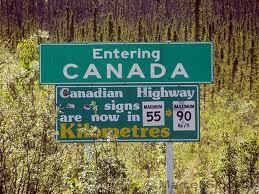 Driving to Canada takes about 8 hours, well actually 10 if you count the health and hunger breaks! This was the first time we didn’t rent a mini-van (to be a frugal dad). Our Camry was fine for the 4 of us. Everyone was happy. Well most of the time anyway! I had never really visited Canada before last week (except for a Punjabi Wedding in Toronto about 20 years ago!, but that’s another story for another day!). I could talk about what we did, but my readers don’t pay to be bored with that, so I’ll give Dad’s perspective on the trip! We saw two totally different cities in Quebec and Montreal. Quebec had amazing mountain ranges and outdoor activities, walking and lots and lots of history and culture. The Old Town area, the Gondola Ride, the amazing waterfalls, and the outstanding countryside scenes were truly breath taking. Of course I took lots of pics, but they are still on my iPhone and not published yet! Montreal felt like NYC, except it was clean and the underground city, the Basillica of Notre dame, Olympic Park, the Biodome, Old Town, were just magnificent. I’ve decided that this will be another road trip next year here to truly get the impact of this city. Oh! I forgot the Metro trains! So efficient! Canada is truly breathtaking and worth the trip. The immigration into Canada is a lot faster (minutes) as opposed to the return to US (over an hour). If anything the return delay coming to US was the only negative thing I experienced during this trip. The natives are just amazing with their hospitality and their kindness. Even if you don’t speak French (I speak high school level of course! ), you are not at a disadvantage! Take along a credit card that doesn’t charge international fees! American Express or debit cards just don’t cut it. Be prepared to be hit with conversion and fees! Boo! I’d recommend you take cash.. and try to find places with minimal or no currency exchange fees. Canadian $1 and $2 coins, are the norm.. so be prepared to jingle your way through Canada with your spare change.. The US Dollar is accepted everywhere! Since it’s only a few pennies difference, many establishments will give you a one-to-one conversion. 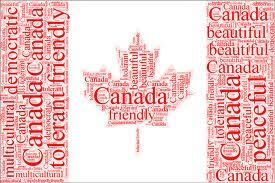 Try giving Canadian currency anywhere in the US and see what happens! Be prepared to spend, spend and shop! The artisans, the tours, and the things to do in both Quebec and Montreal is endless! Now I know why they say Oh Canada! 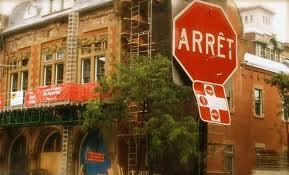 In Quebec, you quickly learn that “Demi Tour” means U-Turn and “Arret” means Stop. You quickly realize that when the speed limit says 90 it does not mean 90 MPH. that’s 90 Kilometers per Hour (about 55 mph). We even saw our first “one day strike” in Montreal at our hotel! Oh gosh can they be loud! Don’t take the Grey Line bus tour where you don’t hop-on, hop-off. The bus only tour (which we took) is a total waste of time and money! Hop-on and Hop-off double decker (like NYC) is the way to go.. Wear comfortable walking shoes, because you will be walking everywhere! We averaged about 5 miles of walking per day! Make sure your iPhone is “Juiced”, you will take many, many pictures! Wireless and/or internet is NOT free and available everywhere. Be prepared for some frustration here. In Montreal, our room was wired not wireless. Of course they had plenty of free computers in the lobby, so that took away this pain. Plan, plan, Plan your trip. Trip Advisor is the way to go if you want to plan your trip. Be prepared for delays on return to US, if you are going through customs/immigration. Please do take back the same children you bring into the country. Our immigration officer at the border didn’t think my younger daughter was mine, and wasted quite a few minutes of looking at her “NEW PASSPORT” and her to ensure, I didn’t trade bring back the wrong 13 year old! Perhaps she was kidding? Well that’s all for now, I’m sure I’ll think of more Dadism’s to add.. I could go on.. as many know, I love to ramble! Au Revoir mon amis! Je suis fatigue maintenant! 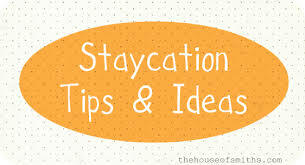 Author Dads TaxiPosted on August 21, 2012 Categories VacationsTags Canada, humor, Montreal, observations on Canada, post-a-week, Quebec, Shopping, tips, Tourism, travel, vacation, WordPress3 Comments on Oh Canada! Who would think that a New York native would be in awe of a day trip to NYC? ok.. I’m guilty as charged! and enjoyable day trips I’ve taken in a long long time. Our goal was to see the play “Wicked” by buying 1/2 price tickets from TKTS.. Of course that plan fell to the wayside when we found out that play is NEVER available via TKTS. We ended up buying tickets to “Mary Poppins“. An Excellent decision. can’t recognize NYC anymore with the transformation that has taken place over the years! I would have been happy hanging out at the South Street Seaport, but we had an agenda! We were in NYC to see a Broadway play! We drove to Midtown and parked our car 2 blocks from where I worked on 6th ave and 44th street! OMG, this area has transformed into a tourist’s paradise. We went to the famous Shake Shack for lunch and let me tell you the burgers at this place are just amazing.. I personally prefer to the 5 guys chain but the Shake Shack’s burgers, fries and the shakes are just too too good! After lunch came the highlight of this trip! We went to Times Square to Toys R US. This has to be the happiest place in the world for any child.. 4 to 5 floor of toys of every possible shape and size.. I particularly loved the Jurassic Park T-Rex! The indoor Ferris Wheel was unbelievable.. I wanted to ride.. but I would never heard the end of that.. so I didn’t say a word and a waited while my kids went on this amazing indoor Ferris Wheel! We still had a few hours to kill, so we went into Times Square and we found seats! I sat in the middle of Times Square with my feet up on the table and couldn’t help but say to my self.. “Oh my, I’m king of the world!”. Thank goodness, my wife didn’t hear me say that! I could not help but smiling for over an hour as I sat there.. Of course I got the nasty passing remark to me when they saw me with my feet up on the metal table! Me being a New Yorker at heart.. thanked them for their kind remark! After having my “Chai Tea” which my older daughter got for me from Starbucks, we were on our way to the New Amsterdam Theatre for our Play! The theatre was magnificent and the show was absolutely marvelous.. I did fall asleep before the interval, but that was because I was getting bored with the silly songs in the Play.. The play itself was unbelievable after the interval and I thoroughly enjoyed it! All of us did.. I know now that what I had been missing all my life. To think it took me almost 40+ years.. to see my first Broadway Show.. what a shame! To see NYC at night is something you must experience! The life, the lights and Broadway! My day trip to NYC was something that I will remember for a long long time.. Now I have to plan the next one to see the Phantom of the Opera! I didn’t post any new perspectives over the past 10 days as I was out-of-town. I was visiting the lovely state of Texas, which my brother calls home. I gotta tell you this, the state of Texas and especially the city of Plano, has a new fan in me. I guess my perspective would change when I visit Texas in June, when it’s scorching and you can basically burn without much effort. I gotta say one thing (amongst my various opinions), I can easily imagine leaving the friendly confines of my native Monmouth County, NJ home and relocating there. Except for the one tornado warning that I experienced, I found my first visit to Texas in 25 years to be really eye-opening. Plano is a wonderful place to live, with everything you may want with a healthy dose of very comfortable quality of life. The parks, schools, roads, malls, technology and just about everything just shine. As many people know, I’m never one to give compliments easily to anyone, anything, or anyplace. What struck me most about Plano was that financially, relocation to Plano would be a no-brainer. The amount of money I could save provide a BETTER quality of life for my family is beyond my wildest dreams. Yet, in order to make this kind of transplanting you need to always think things through. As everyone does, I carry plenty of baggage, both literally and figuratively. A few months ago, I wrote about debt and my constant battle beat this devil. Well moving to Plano, would wipe out my debts and still leave me with plenty of change to plan for the future. When they say: “Everything is bigger in Texas” is without a doubt true.. The Parks, Malls, restaurants, Houses, roads.. everything is bigger in size. The only thing that I found unusual in my brother’s community house was the obvious emptiness of no kids playing in the front yard.. I just didn’t get it. I think it’s the culture that the kids have so much space and activities going on that they don’t have time to be outdoors running around and playing in their community. And as my brother was driving me around to various communities, I saw the same thing almost everywhere, there were no kids anywhere outside.. It wasn’t too hot so that could not have been the reason. Anyway, Plano Texas is one place, I’m sure to visit again over the next few months. Who knows, perhaps my destiny will take me there next as a transplanted Northerner.. Overall, my visit to Texas allowed me to reconnect with my brother’s family and my amazing nephews and niece! Warmed my heart and put a huge smile on my face for days. With all the technology, companies that have corporate homes in the Plano area, it’s no surprise that Plano has so many schools (at all levels of education). Each school is huge and of course each has amazing facilities. Let’s see, when is my next trip to Plano? I think I’ll go next month.. I had the best Mexican food at the cheapest price (and we all know how much I’m into good food and low-cost food!). Even as I returned to my home in NJ, I could still taste the amazing $1 Taco that I had the day before in Plano.. and this taco beats Taco Bell to a pulp! Overall, my visit to Plano felt incomplete.. you know why? I was so enamored with the city that I felt like that not only had I reconnected with my brother and his family, I felt that perhaps, life outside NJ suddenly become a reality.. Now if I can only unload the excess baggage I carry around every day! Blogging from my trip to India upcoming! Dad’s Taxi is taking a road trip to India for the next few weeks. All my posts will be from there. I’ll be giving my unique perspective on my travels as I make my way through the land where I was hatched. This blog entries will be interesting in that I will be reporting the trip from the eyes of my 10 yr old child.. I will ask her to give me some feedback on what she observes on her trip. NM has been to India only once and I know her fresh eyes will truly observe and report back on the trip from a wide eyed innocence of youth. One of her assignments from school is to keep a daily diary of her trip.. hopefully she’ll share this with us! First stop will be the nation’s capital New Delhi. The field hockey world championship is currently going on, I’m going to try to get tickets to see at least one game, but I won’t hold up high hopes of that happening. My better half is already there and she already has experienced first hand the smog and dirt which has caused her to head to the doctors with a throat infection. We get a daily blow by blow activity of her (mis) adventures as we speak to her every night. Thank god for Vonage. Kids are so excited for their trip. I’m just queasy and kind of leery of the whole trip. Went there few years ago and was both impressed/unimpressed with progress in India. No doubt technology is everywhere, but the infrastructure to support the technology still has gaps. Inflation and corruption is rampant.. Yes the outsourcing has made the country wealthier, yet the gap between classes has gotten wider. I could go on and on.. but I won’t as this article will turn more negative than shine on the accomplishments of the “World’s largest democracy”. Where else can you go to where the beggers can afford cell phones, yet still live in cities within cities. To get a true picture of life in India for the lower class a must see movie is Slumdog Millionaire. It depicts the life of the lower class (hut dwellers) of Mumbai in it’s harshest of realities. Many Mumbaites will disagree with what is depicted in this movie, but what you see is reality. If you want to get an really good view of the diversity and the Indian diaspora, you should visit our sister site BharatBeat, where we share insights on Bollywood and various links related to the India. 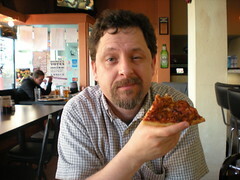 I recreated this post from Google’s cache of my blog.. Yes I this should have been posted BEFORE the August 26th posting. I will get better as I re-adjust blogging on wordpress. Besides the high altitude affecting me (9,700 above sea level), I’m having a blast thus far. You couldn’t have asked for a more beautiful surroundings and some seriously needed R&R. If I didn’t go on this vacation, it would have only gotten uglier at work.. Let’s not even go there. For the past 2 days, we’ve played Tennis (multiple times). Let me tell you as an tennis enthusiast, playing tennis in high altitude take a bit of adjusting to.. Your opponent might think you are going into cardiac arrest, but in reality you are just gasping for breath between points (with no cardiac arrest). After a few games, your body adjusts, but it’s an experience you need to have at least once. We did some hiking at Williams Creek. This hiking was brutal. See above for breathing issues. My sister in law’s quote: “I looked pale and she was concerned that I was going to have a heart attack”. Actually, it’s kind of difficult for a dark skinned South Asian to look pale.. I should have taken a picture of myself, I guess. Today (Monday, August 23), we are off to Durango, Colorado for an train ride through the mountains..to Silverton! BTW, you have to check out Wyndham Pagosa for a place to stay.. We tayed in a time share and let me tell you, this was awesome! 3 bedrooms with a jacuzzi and a backyard view of a lake (with the Geese). Too bad I didn’t pay the 18 hole miniture Golf till the last day! My bad! Anyway, family is on my case to hit the road for our adventure today.. will provide some more updates tomorrow! This is a repost of my blog entry when I was on vaction in Pagosa Springs, Colorado.. My original post got waylaid as my friend G, cancelled his web hosting and I didn’t back up my blog! Today we spent the day in the fabulous Mesa Verde National Park in Cortez Colorado. I’ll write more about this in another entry later..
My story for this entry is how oh-so-close close I came to losing my iPhone 3GS courtesy of my dear 14 year old Nephew and my lack of paying attention! Tonight while we were in Durango, Colorado, I experienced the good side of humans..that in my opinion, would never happen in the NY/NJ area.. I guess I’m just being cynical. I gave my nephiew my iPhone to play with when we were in a store.. Well what does he do? Instead of giving the iPhone back to me in my hand, he puts it on the counter in front of me without telling me..
All of us leave the store and walk a few blocks down and I ask for my iPhone and he says: “I gave you the iPhone back to you in the other store”.. So I race back 2 blocks to the store and amazingly, someone had handed in my iPhone to the clerk at the counter! The person who had found my iPhone was a teenager with her parents.. I profusely thanked her and left the store. I went back to my family and I realized that I had forgotten to reward this great person for handing in the iPhone.. So I race back the 2 blocks to the store and offer her a reward and wouldn’t you know it? She refuses! I first offered her $10 and then $20, but she declined both! Now that is character. Now that is something that I have never seen anywhere! God bless this child for doing this good deed for the day. As many of my friends and readers know I’m a skeptical/cynical New Yorker and thought for sure that I had lost my 3GS phone.. What a pleasent surprise.. Lesson to be learned here: Never ever let any anone use your iPhone w/out a promise to return it to your hands after usage! As I sit here and write this entry, I wonder if I would have been this fortunate, if something like this would have happened where I come from NY/NJ?? Hmm..